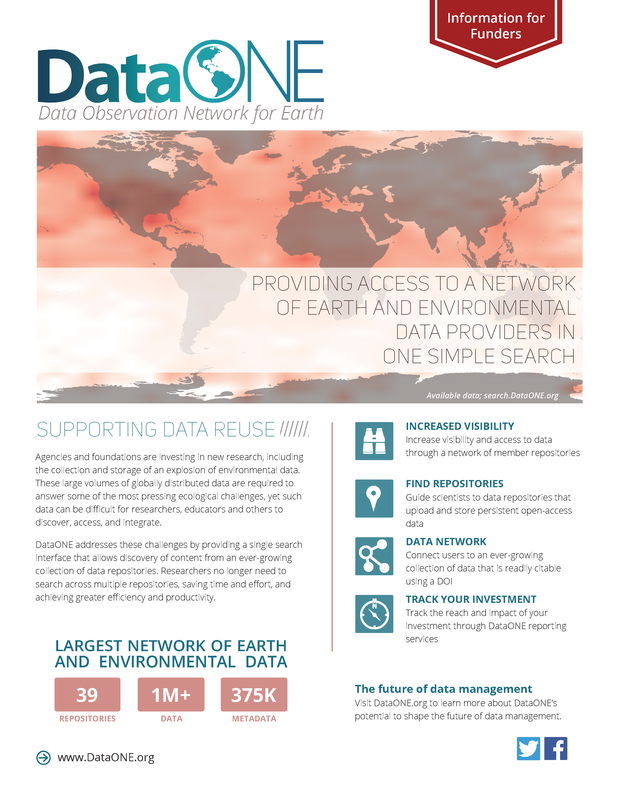 Keep up to date about DataONE progress, activities and events though our regular newsletters, frequent news items and by following us on Twitter, Facebook and via LinkedIn. 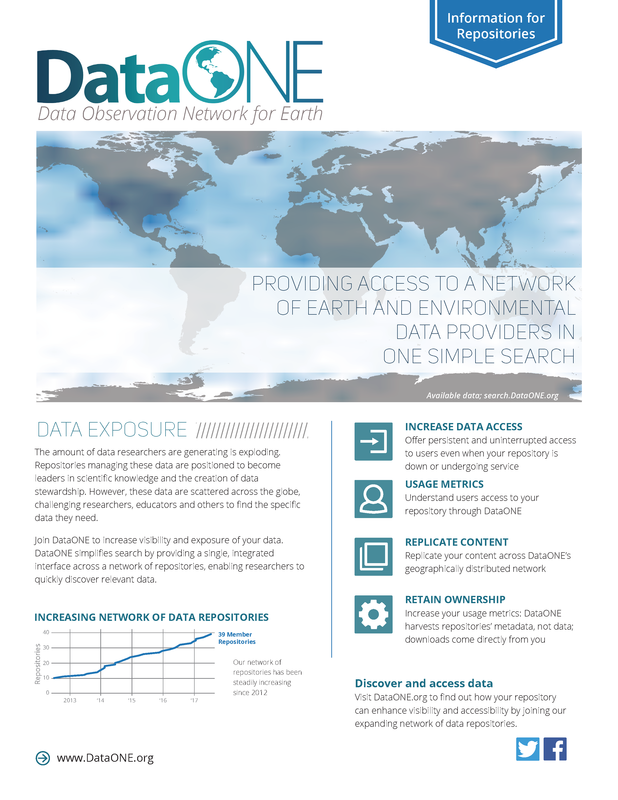 Become a more active member of the DataONE community by joining our DataONE Users Group (DUG). 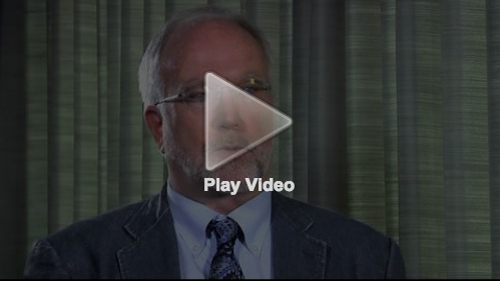 See below for DataONE Videos, Brochures, Logo and Press Releases. 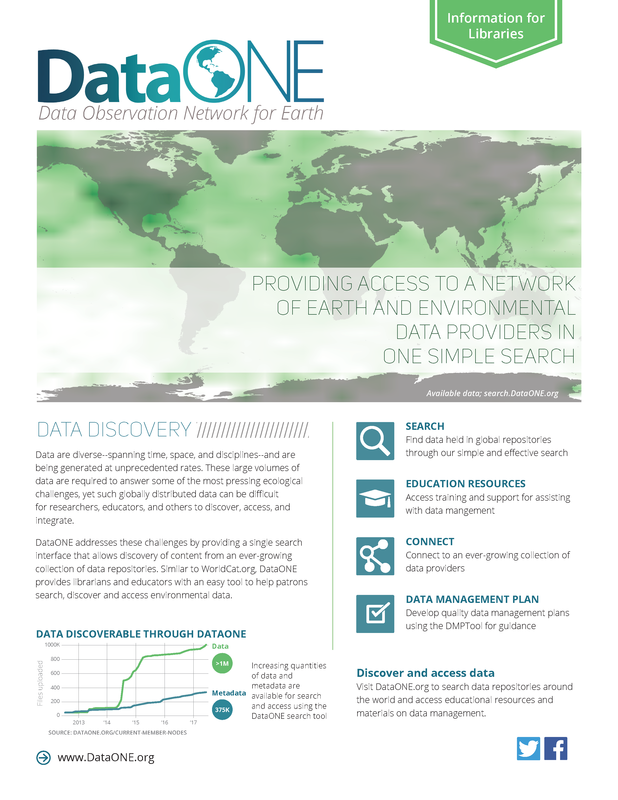 DataONE Brochures for four stakeholder communities: Researchers, Repositories, Libraries and Funders. PDF: Formatted for letter size paper, full bleed. Please contact DataONE if a different format is required. 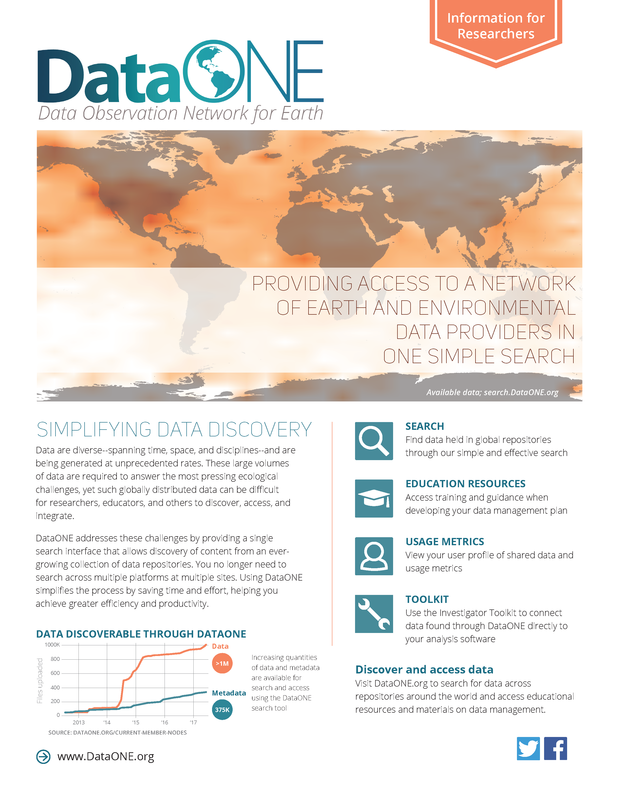 DataONE Announcement, University of Kansas, National Center for Ecological Analysis and Synthesis, California Digital Library, National Science Foundation, University of New Mexico, University of California Santa Barbara, Albuquerque Business First, Santa Barbara Noozhawk, Rensselaer Polytechnic Institute. Oak Ridge National Laboratory, University of California, University of New Mexico, University of California Santa Barbara, National Evolutionary Synthesis Center.